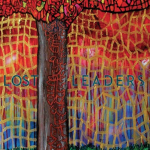 Lost Leaders is my project with guitarist Peter Cole. It dates to about 2010 though truthfully Pete and I have been playing together much longer than that. We met in the 90s through the New York jazz scene. Pete had a guitar trio playing his own excellent instrumental compositions and I occasionally joined as the bassist. I had a rock band at the time called Dirt, which included the fierce guitarist/songwriter Brian Silverman. Peter loved what we were doing and told me he also wanted to write rock songs, so he and I started a new rock band, naming it Slink (eek I know, I know). It was kind of 90s Power Pop, and I’m not sure there’s any cyber evidence of its existence. I think our first cowrite was called “Loser of the Year” and if that doesn’t tell you something about our collective mindset, I don’t know what does! Fast forward to my wife and I having a baby girl, then Peter and his wife welcoming a daughter, then us both welcoming sons, me touring with Ollabelle and him playing bass in Lava Baby and both of us doing some solo shows. During the aughts we socialized but we also got together to write tunes for a new project. 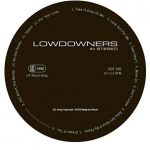 Lowdowners began as Alt Country, if I had to give it a genre. But when you listen (and you can, Lowdowners is on Spotify), you can hear us veer into psychedelia that was paving the way for what we’d sound like in the next decade. (We even included an untitled Zeppelin-esque instrumental track that needed a name to go online, so Pete dubbed it Wyckoff & Bond and, bizarrely, it’s on sale at Amazon for 99 cents). Lowdowners played live quite a bit, with Tony Leone on drums and Adam Goldfried on pedal steel. Pete and I were itching to expand into a new sound, but it evolved slowly. We first changed the band name and became Lost Leaders. It’s a double pun: a reference to us both being solo sing-songwriters attempting to co-lead in some kind of blind-leading-the-blind fashion, and a “loss leader” because the project only ever had a vague promise of ever paying for itself. 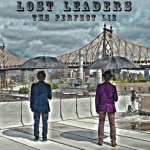 Our first Lost Leaders EP was called The Perfect Lie. It’s on Spotify, so it’s technically been found, but we never printed CDs and may no longer have the files. We recorded it ourselves in a rehearsal space in Long Island City rather hastily. We weren’t super satisfied with it, but one song in particular, “Miracle Mile,” seemed to point to where our sound was moving. 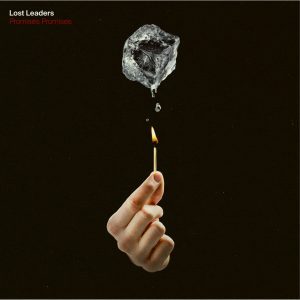 We effectively swept the EP under the rug and began the eponymous Lost Leaders LP. By the early 2010s I was regularly playing with the Levon Helm Band at Levon Helm Studios. I was up in Woodstock so frequently that I often slept in the Barn loft. 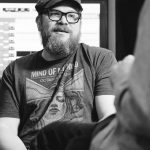 The short story is, Head Engineer Justin Guip offered to record Lost Leaders there when no one else was using the studio. Levon would wander in from time to time in his bathrobe and rasp enthusiastically, “Sounds real good boys!” Our original plan was to record our new songs as a duo, extremely stripped down. But all that changed when Justin convinced us to let him jump on the drumset. Suddenly we knew we’d found the new sound we’d been looking for. 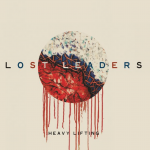 The release of Lost Leaders finally garnered us attention and great reviews in No Depression and other reputable places. Somehow legendary radio personality Jimmy Fink got ahold of it and passed it on to WXPK program director Chris Herrmann. He fell in love with it and put the song “I’m Gonna Win” into heavy rotation. With our new Westchester fanbase we found a home venue at Garcia’s at the Capitol Theatre, in Port Chester, while still maintaining our presence in Manhattan, Brooklyn and Woodstock, where we even opened a Midnight Ramble while Levon was still alive. If “Miracle Mile” pointed the way to the Lost Leaders LP, “I’m Gonna Win” pointed the way toward Heavy Lifting, an EP of six songs. 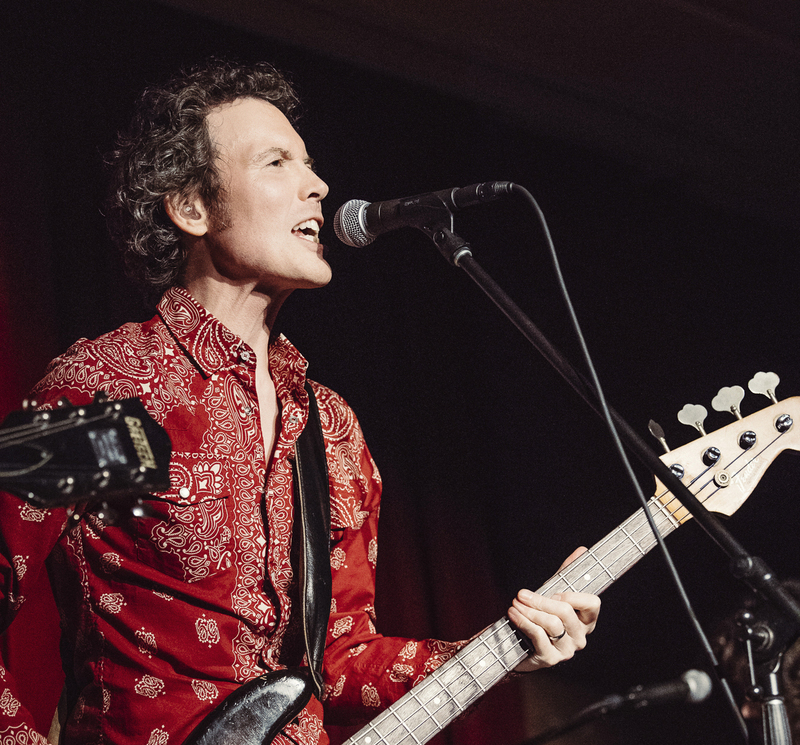 We were becoming a leaner rock band, shedding all traces of our now-distant alt-country past. It got decent reviews and attention from music magazines and blogs including Relix. We had a new, younger band including my brilliant nephew Will Bryant on keys and Marlboro’s amazing Lee Falco on drums. We recorded Heavy Lifting at The Building, a recording studio literally in Lee’s backyard. We were excited about our lead single, “Volunteer,” but its reception was tepid. Pete and I concluded that it was time for a fresh perspective. We needed a producer. Enter David Baron. 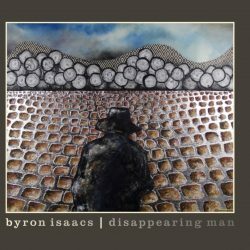 I’d met him at Levon’s barn when he was playing with Simi Stone, and again when we were both working on The Lumineers sophomore album Cleopatra. We were hoping to find someone who understood rootsy rock and roll, but who also had a real pop sensibility. Dave fit the bill in spades. Pop? He tracked “All About That Bass”! Rock and roll? 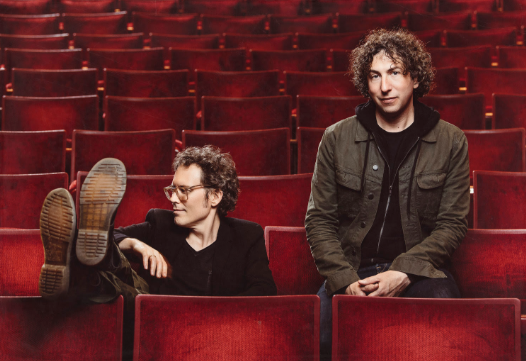 He’s Lennie Kravitz’s longtime go-to studio ace…and roots? Well, he’d produced countless gorgeous local singer/songwriters’ albums right in his Hudson Valley home, Sun Mountain Studio. It was here that Pete and I would begin our most exciting adventure yet: Promises, Promises. We’d wanted to be pushed out of our comfort zone, and we got what we were looking for. Dave put our songs through the meat grinder: deconstructing, re-arranging, re-harmonizing, sometimes just stopping the playback and saying “that part can be better. Go change it.” So we would. And he was right. We were so shocked at first by the process that we feared we were losing our sound altogether, but Dave kept reassuring us. Inevitably, after sleeping on it, our refreshed ears confirmed that this was indeed the right direction. The album comes out March 1, but the first single is out now; you can listen to “Extra-Ordinary” everywhere. It was mixed by the great John O’Mahony and we really think this is our best work yet.